Treadway is pleased to announce their April, 7th 20th Century Art+Design auction in Cincinnati, Ohio. This 400 plus lot sale includes lighting, furniture, ceramics, glass and fine art spanning multiple movements. 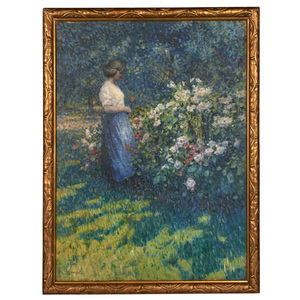 Paintings feature a beautiful Louis Ritman oil from a European collection at $80,000 to $100,000 and a work by Israeli artist Reuven Rubin at $70,000 to $90,000. Works from Hans Zatzka to Eduoard Cortes along with three paintings by Chicago artist Gertrude Abercrombie. 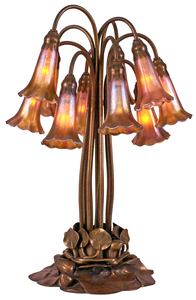 The sale features several pieces of Arts and Crafts by Charles Rholfs and Gustav Stickley as well as modern pieces by Frank Lloyd Wright. American ceramics features a collection of Van Briggle, early high glaze Newcomb from a Louisiana collection, as well as a selection of Haviland, widely considered the harbinger of the American art pottery movement. 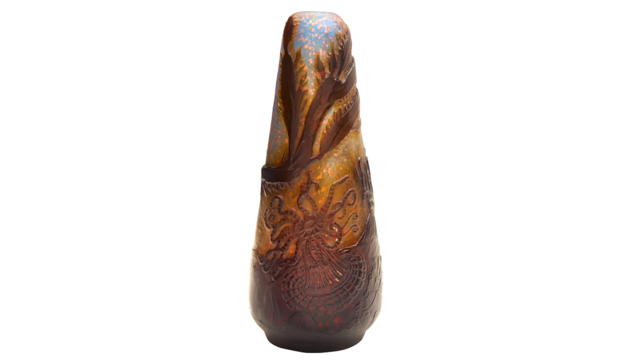 A monumental Grueby vase is estimated to bring $20,000 to $30,000. A collection of European glass including Daum, Rene Lalique and Galle and ceramics from Los Angeles, as well as lighting by Tiffany Studios and two rare Dirk van Erp examples round out this sale. The auction begins at 12 noon EST Sunday April 7th. Bidding will be in person, on the phone, via absentee, and online at Liveauctioneers.com. Efficient and inexpensive delivery is available, everything is guaranteed.